Miss B was asked to Mormon Prom by her good friend in January. 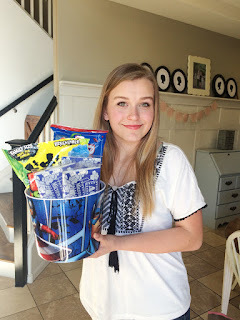 He asked her with a movie bucket of candy and three homemade dvds with movie quotes and lines from some of her favorite movies. She had to quote the rest of specific movie lines before I could give her the next dvd. The last one told her who was asking. It was very creative, well done and took a ton of time I'm sure. 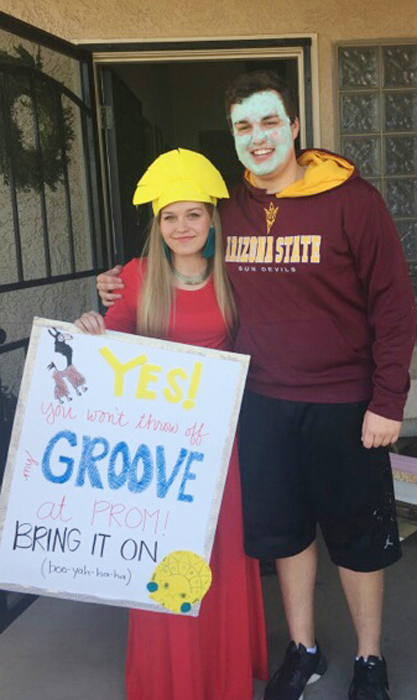 She answered him by putting together an Emperor's New Groove scavenger hunt that led him around town. He had to do a few things inspired by the movie, like decode an Incan message, wear a cucumber mask and jump rope. Miss B dressed as Kuzco and was hiding with her answer at the end of the hunt. They ended up winning prize for best asking/answering and got a gift certificate for Cheesecake Factory. 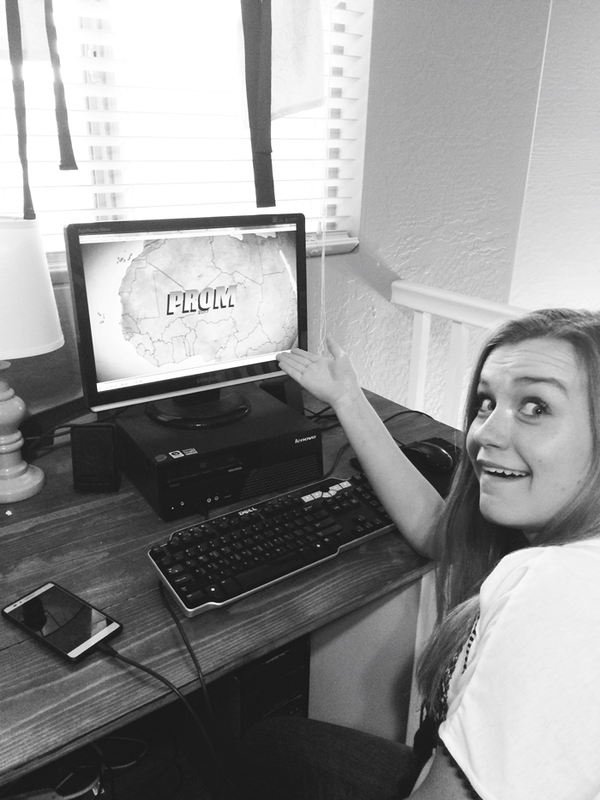 It was a lot of fun and just up Miss B's creative alley. She LOVES the asking/answering part of dances. 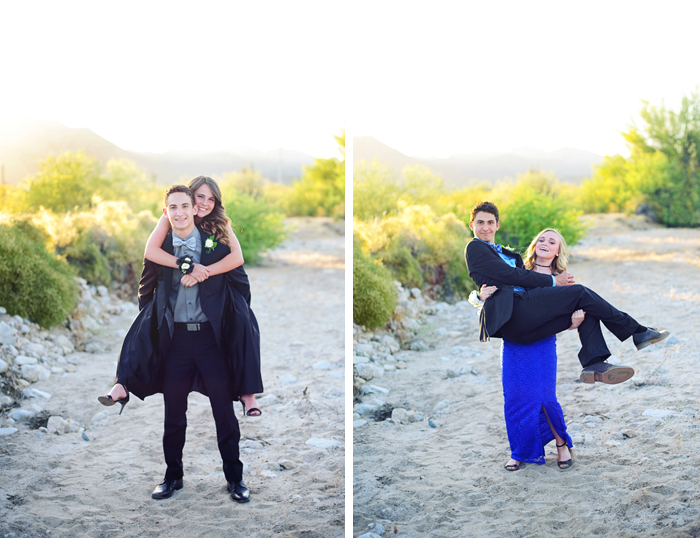 They had a Boardwalk themed prom on a bridge in Wickenburg. There were games, booths and lots of fun. She said they had a blast! 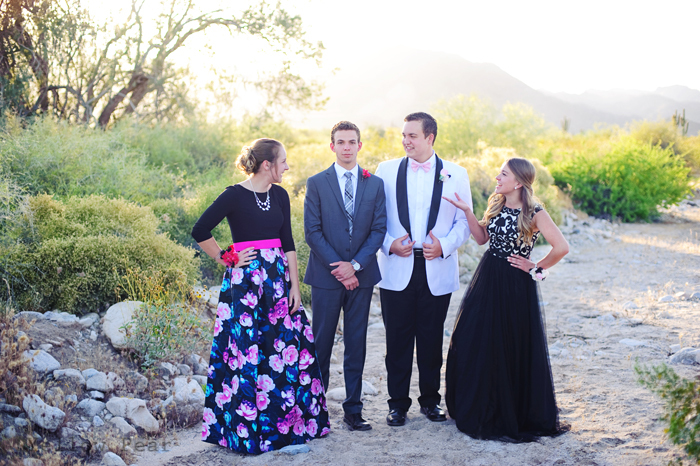 The only downside was her dress got ripped to shreds from the corsage, heels and the weeds from the photoshoot. After Sadie Hawkins and two proms, we both agreed dances are a lot of work with finding a dress and shoes, figuring out hairstyles, flowers, pictures, day dates etc. 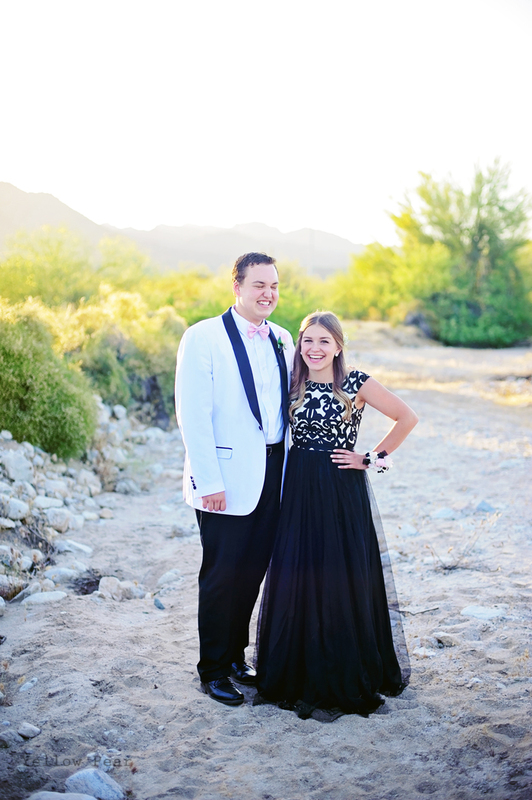 Thank you for sharing the wonderful pictures and pre-prom experience with us! 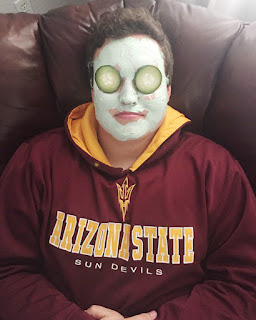 My personal favorite is the cucumber mask picture haha. Looks nice on a guy! Prom and graduation ceremonies are the safest place for your celebrant. 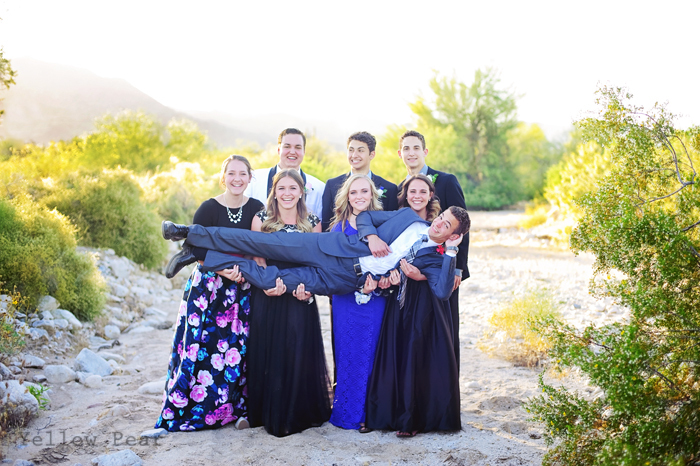 It is the pre-prom and post-prom and graduation activities you and your teen must plan. That is funny but beautiful. One of the most important events in a young girl's life is prom. Just as she dreams about getting married in that perfect bridal gown, she also dreams about wearing the most beautiful dress to her prom.